What inspires you to get up every morning? A role model? A higher ideal? A fear of ending up unemployed, eating cereal out of the box on a Monday afternoon? Inspiration seems like a simple concept but sometimes it’s easy to get bogged down in the day to day; those times when your desk begins to look like a legitimate place to nap. Giving up is always going to be easier than aiming higher and pushing yourself to be better but, no matter who you are or what level of business you’re at, we’re not going to let you off that easy! 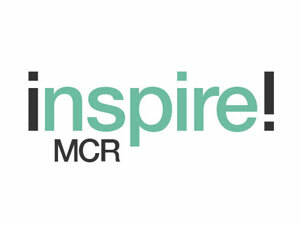 Inspire MCR is here to move the ground beneath your feet again, so come down and get inspired! On Wednesday 27th April we’d love for you to come down to UKFast Campus and get inspired with the other great business minds of Manchester. You’ll get a sneak peek behind the scenes at what inspires some of the North’s business leaders – and learn from some of their mistakes too! Manchester is rapidly becoming a force to be reckoned with, and if the whole city gets behind it then the possibilities – both for the cities and for individual businesses – are endless. Standing up (quite literally) for Manchester we have expert insight from Urban Splash founder Tom Bloxham MBE, who started his business when he realised he was making more money sub-letting his market stall space than selling his wares. Chris “The Spitfire” Maguire will also be leading a panel interview with four of Manchester’s top business experts, delving deeper into their secrets to success and finding out what inspires them. Hopefully, they’ll inspire you too. And, last but not least, our CEO Lawrence Jones MBE will also be taking to the stage to talk about his sixteen years at the helm of UKFast. He’ll be sharing his secrets of how he grew a two-person business running out of a spare bedroom into a £250m enterprise with a 200-strong team, and the power of staying inspired. If you’re looking for inspiration, then this is where you need to be. Put down your cereal spoons, come and mix with the city’s top business minds and entrepreneurs, share your stories and find out what inspires you. Jonathan Goldstone, MD of Repairs by Post. Tickets to our previous Inspire events have sold like Rolling Stones gig tickets. Don’t miss your chance – book now!